make/models waiting to be stripped. just email me with the model and part number of the circuit board you require. please note all screens on above models are damaged. 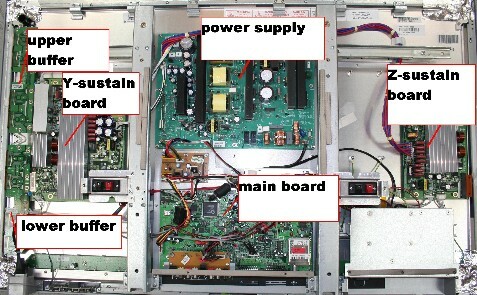 layout of boards in a plasma tv.